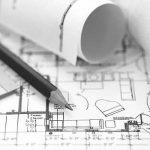 Self-Build Mortgages - JLM Mortgage Services Ltd.
Self-build mortgages are a specialist area, but one we are very familiar with, one of our Directors being on his own second self-builds! Call us for an alternative viewing on financing, lenders and rates. Mr and Mrs R were buying a semi derelict bungalow with a view to demolishing it and building a new family home. They had previously spoken to a self-build specialist and been quoted a high rate and 2% arrangement fee. We were able to use our long established relationships to agree a bespoke mortgage allowing them to borrow 75% of both the land and build costs with lower interest rate and arrangement fee.